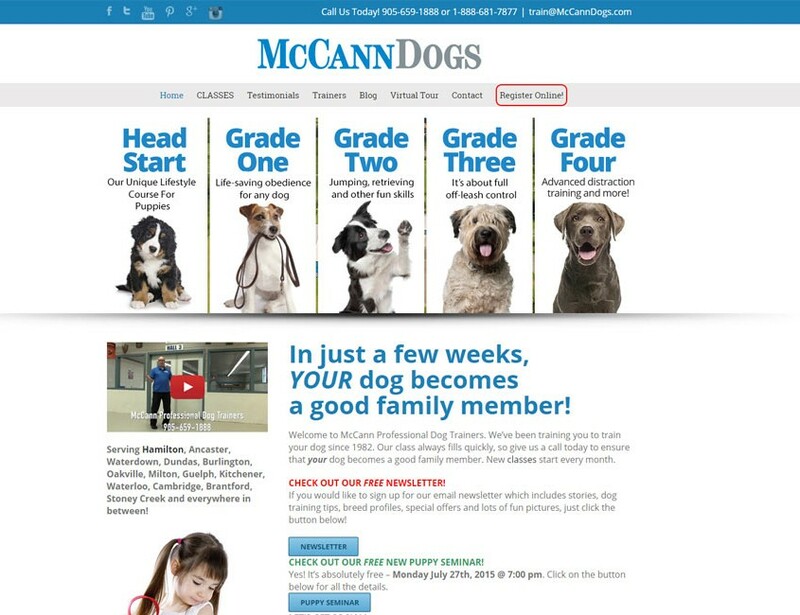 McCann Professional Dog Trainers were in need of generating more leads online. MG Web Com helped them achieve targeted traffic via Google organic SEO, Google Adwords/re-marketing and Facebook PPC. Implementing our digital strategy, our team was able to achieve organic page 1 rankings for over 50 keyword terms and increase traffic by 30%. 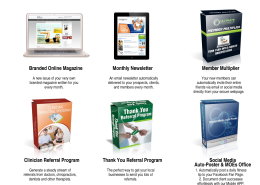 Utilizing Google PPC and Facebook PPC, we were able to achieve conversion rates that had a return on investment (ROI) of over 600%. 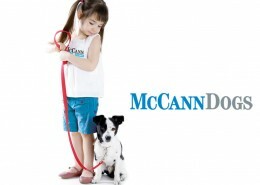 Website: www.mccanndogs.com. McCann Professional Dog Trainers have been servicing the dog training industry since 1982. McCann offers a puppy head start program all the way to grade 4 and have a large loyal customer base who constantly refer new clients. The goal of the digital marketing strategy for McCann’s was to drive targeted traffic via Google and Facebook. Once the traffic arrived on the site, the goal was then to get the visitor to register for classes via a web from.